RoboCupSoccer chose to use soccer as a central topic of research, aiming at innovations to be applied for socially significant problems and industries. The ultimate goal of the RoboCup project is by 2050, develop a team of fully autonomous humanoid robots that can win against the human world champion team in soccer. 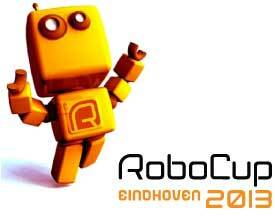 RoboCupJunior is a project-oriented educational initiative for students up to the age of 19. It is a new and exciting way to understand science and technology through hands-on experiences with electronics, hardware and software. RoboCupJunior also offers opportunities to learn about teamwork while sharing ideas with friends. The development of study materials and innovative teaching methods are among RoboCupJunior's aims. RoboCup and Festo are adopting an entirely new approach to mobile robotics competitions -the Festo Logistics Competition using a standard mobile robot platform Robotin.